Whoever first said, "if you love something, set it free," definitely wasn't talking about beer. If you love the stuff as much we do, you want to keep it close and make sure nothing bad ever happens to it, at least until it's resting safely in your belly. Keeping beer safe and sound can be tricky business, so we put together this helpful list of basic dos and don'ts (OK, mostly don'ts) for preserving the perfection inside that gorgeous bottle. Every time you put a sixer in the freezer, a craft brewer loses his wings. Freezing-cold temperatures don't spoil your beer, per se, but they do numb the hell out of your taste buds. All you'll get is the bare minimum of flavors, missing out on all those subtle layers brewers work so hard to create just for you. And don't even get me started on frosted mugs. If you want to drink beer, look up the ideal temperature range for your chosen style and shoot for that. 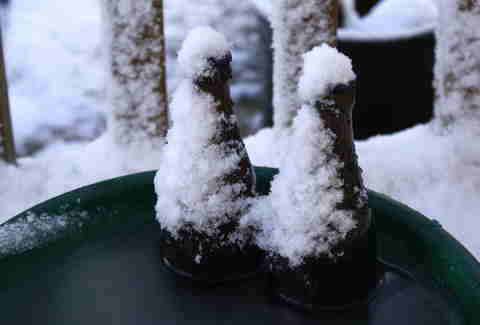 If you want to drink half-frozen seltzer, knock yourself out, just leave good beer out of it. Many beer styles are extra vulnerable to drastic (i.e., 20 degrees or more) swings in temperature. Keeping bubbly, lighter styles like American lagers, Pilsners, kölsches, session beers, wheat beers, and some pale ales in a warm spot can, over time, mute their effervescent carbonation levels and muddle their flavors. Those kinds of beers deserve their fridge time. Buying those styles warm is an even greater concern, since unchilled beers may have gone through any number of temperature changes throughout their lifetime and are less likely to be as fresh as the fridge guys. If your local bottle shop only stocks warm, opt for less-delicate, higher-ABV, and maltier beers like barleywines, imperial stouts, barrel-aged stuff, and the like and then thank me later. Little-known fact: the only thing pint glasses do well is keep your beer from spilling all over your lap and sometimes they can't even manage that (see: every pair of jeans I own). The reason American bars lean on these useless vessels is because they're cheap, relatively durable, and easy to transport. 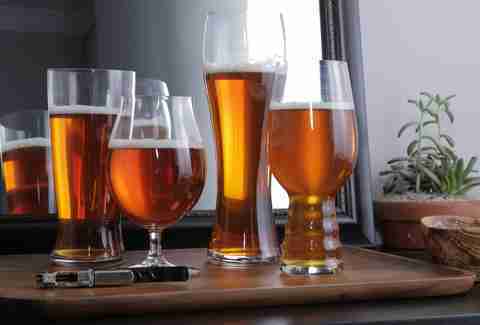 In most beer-centric European countries, however, just about every type of beer is assigned its own specifically designed, corresponding glass. Order a Pilsner in a beer-centric Europe country and it arrives in a tall, gracefully tapered glass, narrow at the base to showcase its delicate color and maintain its signature high carbonation and wider at the top to encourage a frothy, aromatic head. 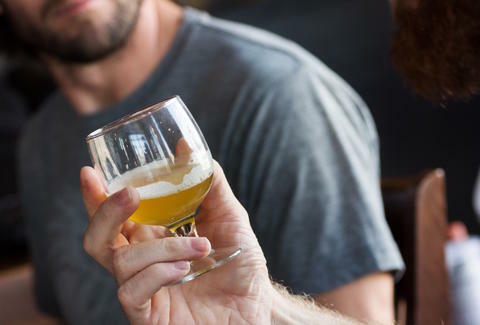 So if you want to treat that $9 craft beer like the special snowflake it is -- and, by all means, you should -- try to get your hands on an appropriate glass. Who are you, Bloomberg? Stop it. Such a rookie move. So you want to become a real, bona fide beer geek, yeah? First things first: you have to stock your brand-new cellar with some top-tier, enviable beer, the kind of stuff that sends your fellow forum ranters into drooling fits of jealousy. That's an excellent move -- as long as you're treating it right. Aging beer meant to be drunk fresh is a big no-no in the craft beer world, as each style reacts pretty differently to the effects of time. A number of maltier, heartier beers, like boozy barleywines, imperial stouts, Belgian strongs, most barrel-aged brews, and some sours and Scotch ales, can grow richer and more complex, something many beer drinkers really appreciate. The rest -- light lagers, kettle sours, hefeweizens, and anything hop-forward like pales, IPAs, and imperial IPAs -- tend to degrade over time and should never be stashed away. This is also a big one. Hops, like a lot of plant-based materials, love sunshine on the vine but aren't so big on it once they’re cut loose. Hops contain isohumulones, light-sensitive little buggers that, at the first hint of sunshine, break down and begin to release some of the same unappetizing chemicals produced by, you guessed it, skunks. For this reason, light-hued or clear glass bottles are always, always a bad idea (though, curiously enough, citrus tends to neutralize those skunky flavors…). Instead, make sure you're sipping your hop-bomb from a brown bottle or, even better, a good old can. And if you're planning to do your drinking outdoors, make sure to drop your reserves in a shady spot. Remember Bud's whole "Born On" campaign? Turns out it was on to something. 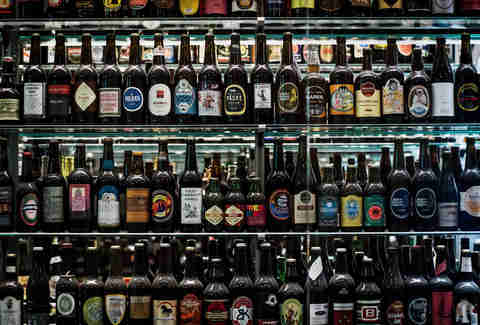 Believe it or not, beer, like most good things in this world, has a shelf life. This goes double -- hell, quadruple -- for hoppy beers like IPAs, pales, and hoppy lagers. Over time, hops begin to fade into nothingness, rendering that previously juicy, nuanced, dry-hopped wonder about as interesting and nuanced as chewing on a piece of pine bark. And that would just break its poor, hard-working brewer's heart. 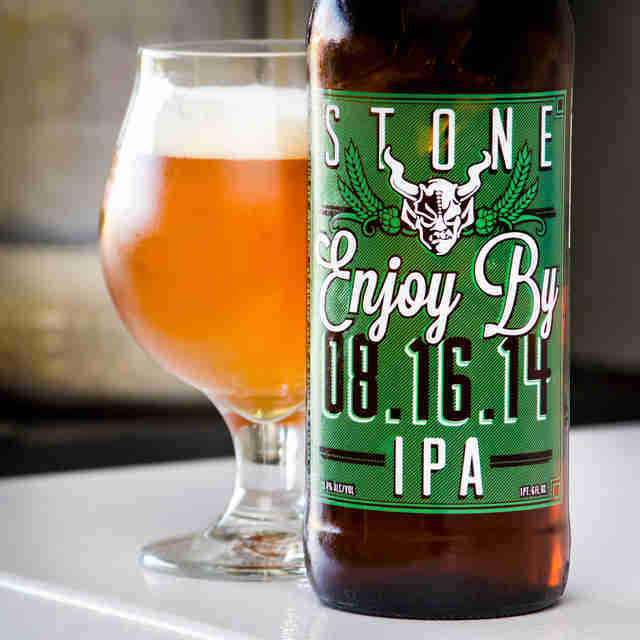 That's why Stone began issuing its genius Enjoy By series, so drinkers could gauge just how long they had before their precious beer went south (also because everyone loves a beer called 4/20). If I've said it once, I've said it 10 zillion times: do not drink tap beer poured from dirty lines. Even an oversaturated beer snob like me loves dive bars -- they're the best! They're so dark and fun and they play the best music and always have that comforting toilet-water-nacho smell going on... but I digress. What I'm trying to say is: be careful where you drink on draft. Unless properly maintained, draft lines can build up nasty bacterias which not only completely obliterate an otherwise perfectly drinkable brew, they can also, in rare cases, make you sick. So if your gut is telling you that a bar's lines haven't been flushed in over a month, go with it and ask for a bottle (your gut will literally thank you). Have a little class, bruh. Meredith Heil is a staff writer for Thrillist. She's on the fluid, she's ruined, she's cold as Boston Bruins. Follow at her @mereditto.